Are you limiting yourself by only focusing on cheap houses? Sure, you can make money in cheap houses, but your upside is limited. Mike Fitzgerald shares some advice on FlipNerd.com to try to convice you to be more open minded. Check it out. 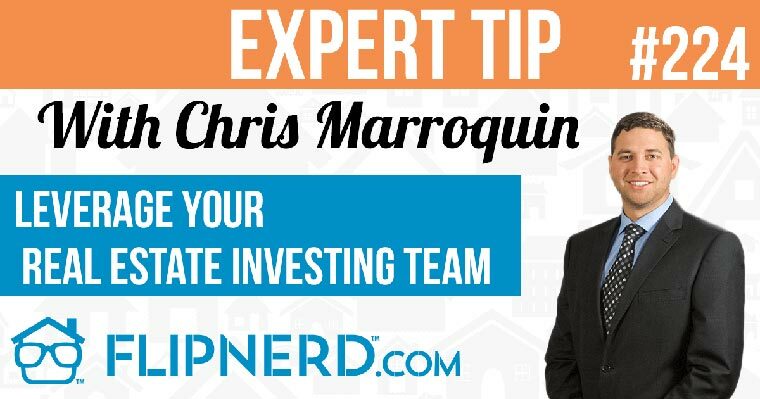 Mike: Hey, it’s Mike Hambright from FlipNerd.com and we have a quick Expert Tip to share with you from Mike Fitzgerald who’s going to share some advice on why you shouldn’t focus on just cheap properties. Mike Fitzgerald: I see a lot of investors, especially newer investors and sometimes seasoned investors, that they get a more expensive property and they shy away from it or they don’t call a lead back right away or they just don’t get to it because maybe they are a little nervous about it. There is one major problem with that, they’re limiting their income and they’re hurting themselves because real estate is just numbers. That’s all it is. If you get the property at the right number, there’s always going to be someone out there that looks to buy that property wholesale or it’s always going to be someone out there who wants to fund that property. My tip of the day is remember, no matter what call you get, it’s just a number. Real estate is just numbers and you should always look at every deal. I learned that from the very beginning in my one-bedroom apartment when I was looking at $50-100,000 houses. A farmer called me up and wanted 650,000 for his farm and guess what guys, it was one of the best, most equitable, profitable deals I had done in my life and paid for my initial education. Especially the newer investors but even seasoned investors, remember, real estate is just numbers. Please note, the views and opinions expressed by the individuals in this program do not necessarily reflect those of FlipNerd.com or any of its partners, advertisers or affiliates. Please consult professionals before making any investment or tax decisions, as real estate can be risky.